The tiny cub was sold to a family in Texas, only to be later confiscated by local authorities after the quickly growing leopard clawed a child. PAWS stepped in to rescue Alexander, saving him from certain death. He was just 11 months old when he arrived at our sanctuary in 1998. 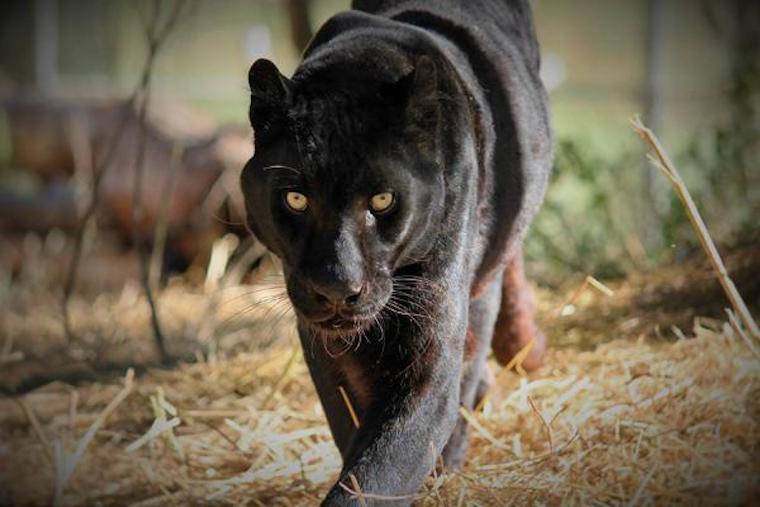 Alexander, a black leopard, was purchased as a small cub to be a pet for a family in Houston, Texas. His "owners", who paid $2,500, kept him chained in their backyard until one day when he scratched a toddler. The incident resulted in Alexander being seized by local animal control officers. Scheduled to be euthanized, he was saved when the Houston SPCA intervened on his behalf. He spent seven months in the care of the SPCA while they searched for an appropriate home, which they ultimately found at the Performing Animal Welfare Society (PAWS) sanctuary. Alexander was 11 months old when he arrived at PAWS' original sanctuary in Galt, California, in 1999. 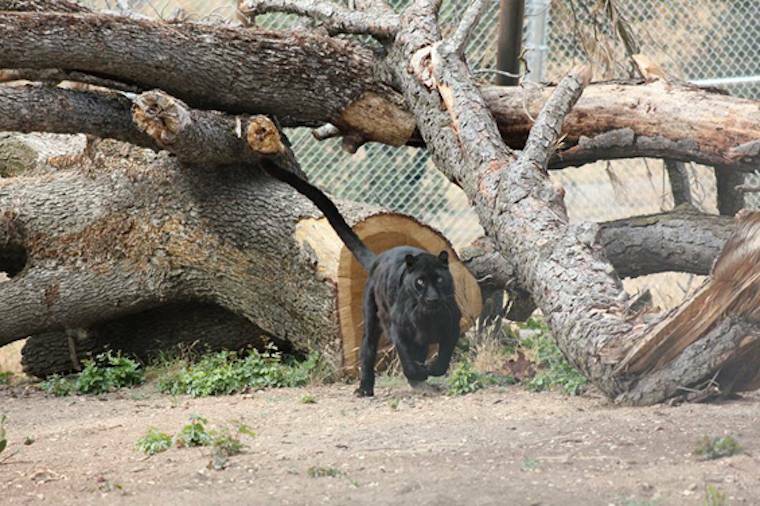 A crew made up of PAWS staff and dedicated volunteers, quickly built a special enclosure for him that included elevated platforms, a den, and a big plum tree suitable for climbing. Since he was found in Houston, and moved like a rocket, Alexander was named in honor of Nanci and Leslie Alexander, then owners of the Houston Rockets, and longtime champions of animal welfare. 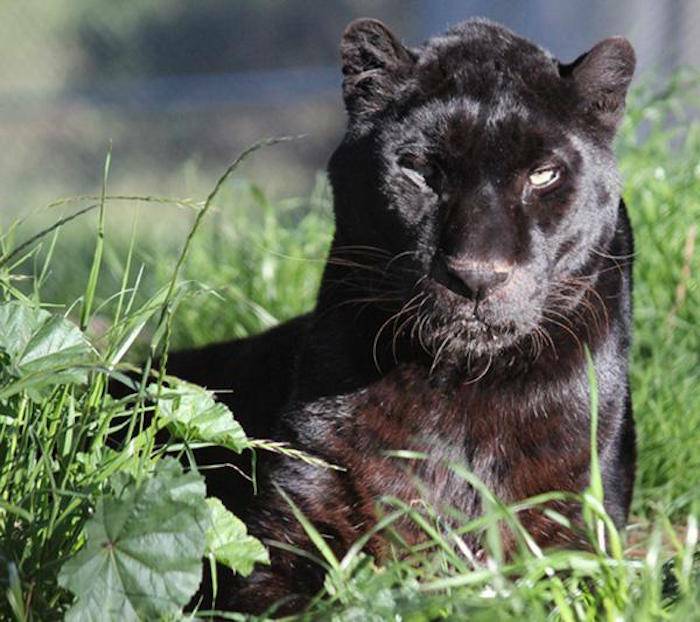 Alexander lived in his enclosure in Galt for 14 years, until an incredibly generous donor stepped forward to fund construction of a new and much larger habitat for him at ARK 2000, PAWS' 2,300-acre captive wildlife sanctuary in Northern California. Inspired by PAWS' co-founders Pat Derby and Ed Stewart, and their dream for a better world for captive wildlife, Mrs. Audrey Steele Burnand donated funds to construct an expansive, beautiful new home for Alex. His spacious new habitat, most likely the largest leopard enclosure in the U.S., includes many climbable oak and pine trees, a pool, and a large, raised deck with a commanding view of the rolling hills of ARK 2000. Alexander moved into his new home at PAWS' ARK 2000 sanctuary on May 30, 2013.